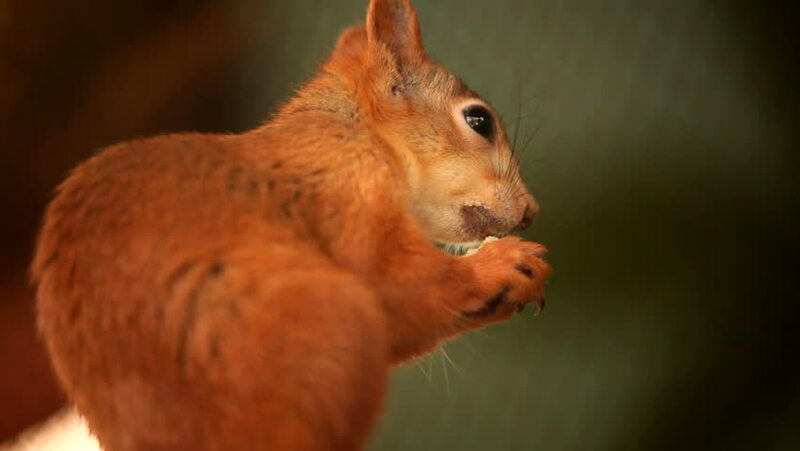 Squirrel eating nut. Cute squirrel sits and eats nuts. hd00:29Urban wild fox on house lawn at night. 4k00:08Adorable baby orangutan holds on to its mother with one hand while eating an orange with the other at the zoo. hd00:18Polar animal. Roe deer buck and Field fare Turdus pilaris. hd00:08A group of camels at the Pushkar Camel Fair in India.